Horween Shell cordovan is leather that is taken from the posterior of the horse. The two circular cuts (shells) taken from the posterior is then tanned through a vegetable tanned process over months with the outcome simply magnificent. 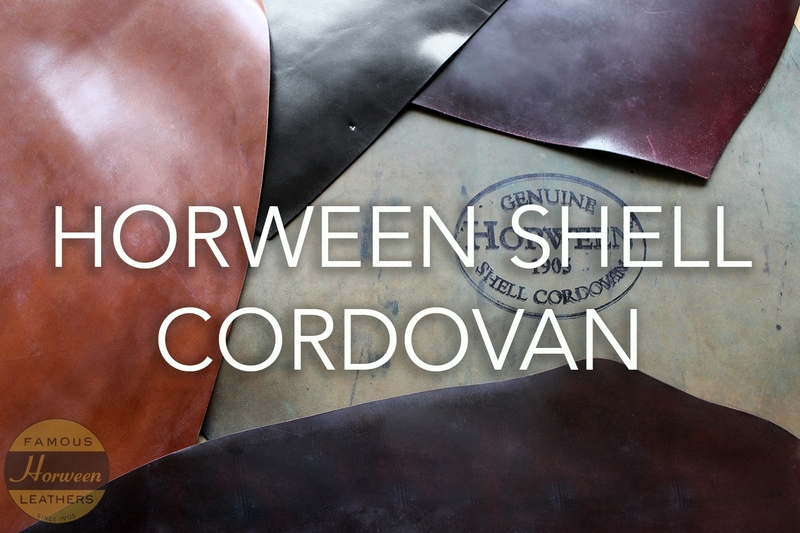 For more information and the history of shell cordovan visit Horween. We are the UK agents for Horween and stock Shell Cordovan in our Northampton warehouse which is sold on allocation. Please contact us for more information. Sold for luxury footwear and leathergoods. We also sell this for luxury tabs in the Archery trade for professionals. Horween Shell Cordovan is sold determined by its Grade which refers to its size. Please note we do not offer samples for Horween Shell Cordovan, please use the website for colour references.